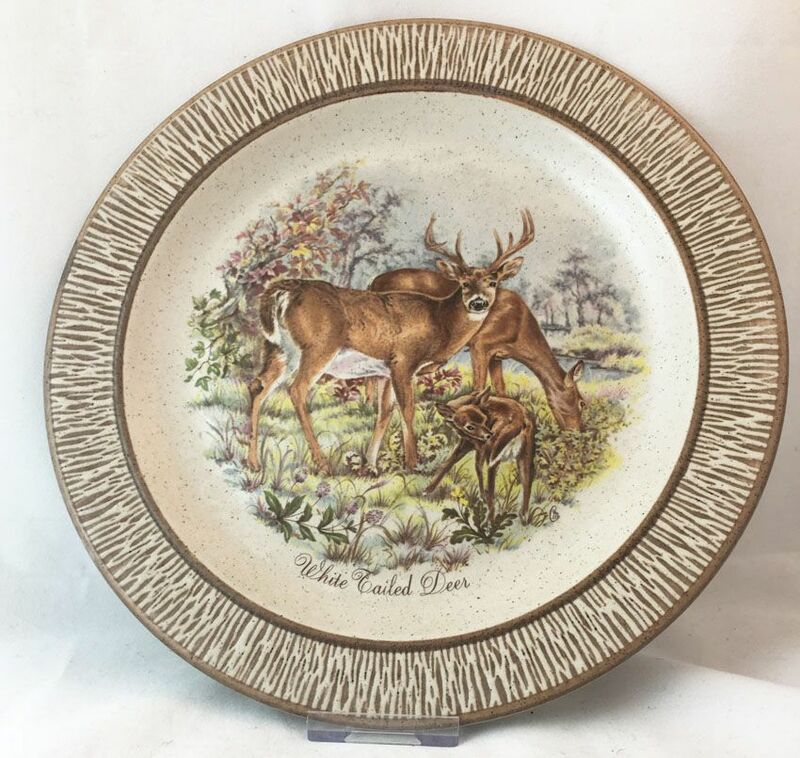 Purbeck Pottery Wildlife Decorative Plates, White Tailed Deer. An attractive decorative plate from Purbeck Pottery, showing two adult white tailed deer and a lovely young fawn in a woodland setting. The plate has a diameter of approximately 8.5" and is in excellent condition. 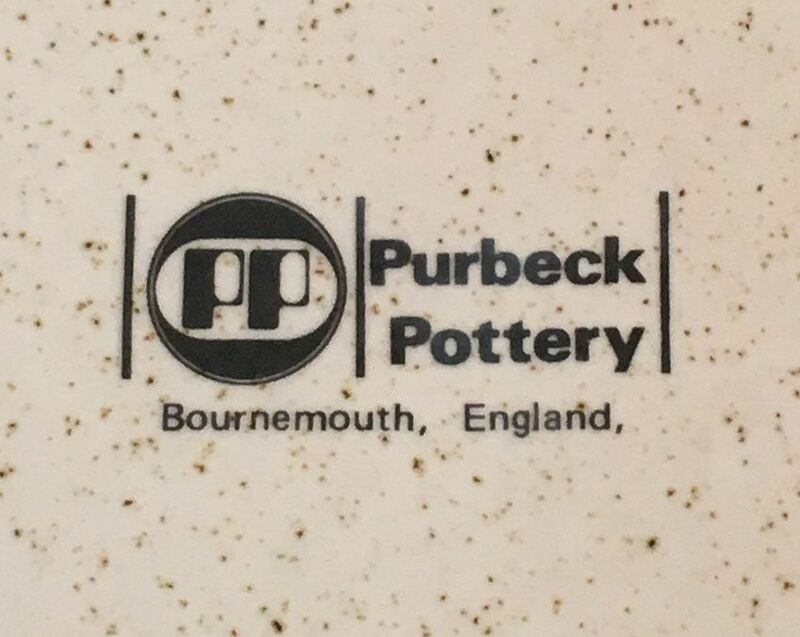 The backstamp on this plate (see supplementary photograph) indicates that these plates were manufactured between 1976 and 1996. This plate is in excellent condition.